Last night was amazing, to say the least! I got out of camp and saw this beautiful male leopard. In the mean time, Rian and Tom (our volunteer) were introducing new guests in to camp. 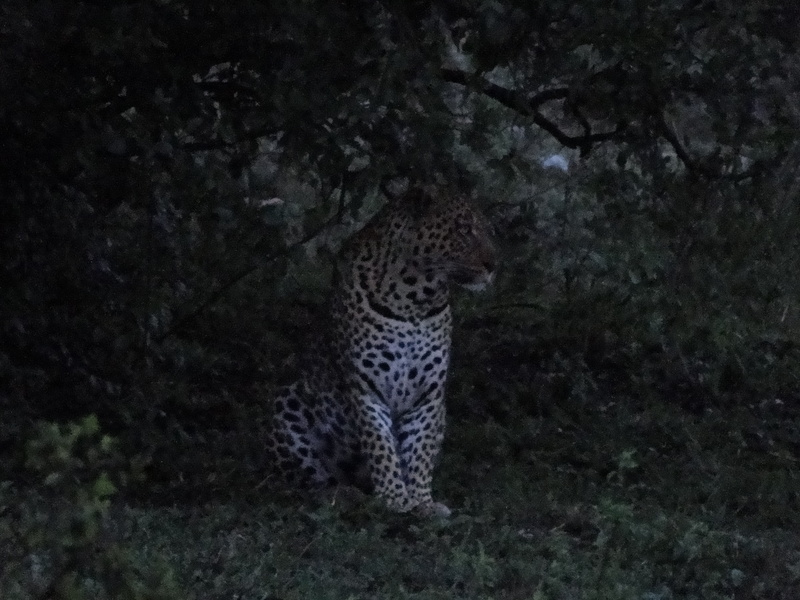 I practically tripped over the tent flap while getting to the new guests, to ask them if they wouldnt mind if we all jump back in the vehicle and go see this huge leopard. They are very excited about this news and say that they would love to go! Rian, Tom and I jumped into the vehicle with the guests and shot off, literally into the sunset, with William a guide behind the wheel. We had just had a huge rain storm, so rivers were a bit high and the mud was thick, but that didnt stop William from driving at an amazing and yet safe, speed to get us there just in time, as the sun was going down, to see this handsome leopard! Wonderful Post, glad to see you back on blog! You have so many stories that don’t have to be long, to be good! Were you able to photo the Leopard? Hey Kelli, He is a beauty that is for sure. Would be great to see you out here. I am sure it is moments like this one that make it all worthwhile. My name is Malte Zeeck, and I am with InterNations.org. Not only do we feature and link to your blog; we also would like to hear from you directly in our questionnaire! We have also designed a link badge for your blog.